The United States is already getting slammed with some cold weather from the polar vortex. 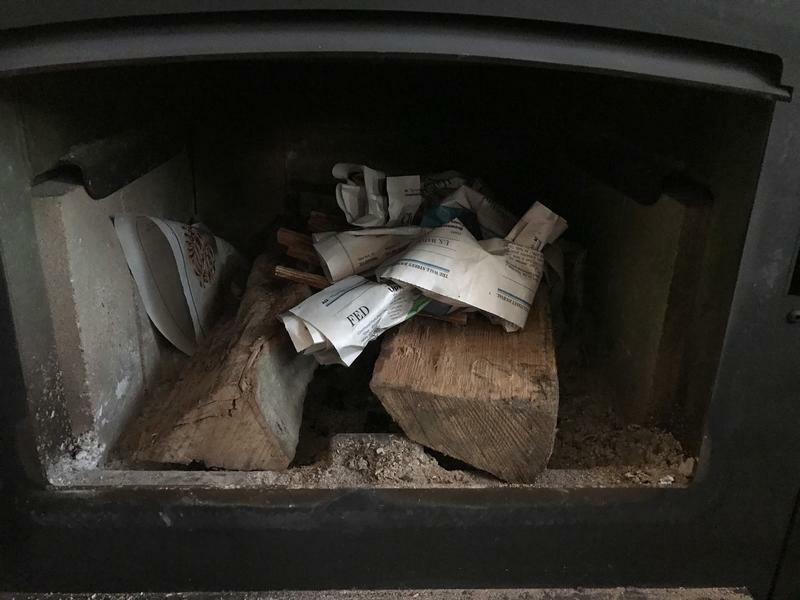 I recently had an EPA-rated wood-burning insert put into my home and have been trying every trick in the book to get it burning long and hot without any smoke. I figured, since we’re all gadget-heads here, I’d share some of the gadgets I own that have helped me. My hope is that these tricks will help keep you warm during the winter. I’ve learned the best bet for setting a fire is to use the top-down method. It gets nice and hot and creates very little smoke, since the kindling has plenty of oxygen to breathe sitting on top of the wood instead of under it. 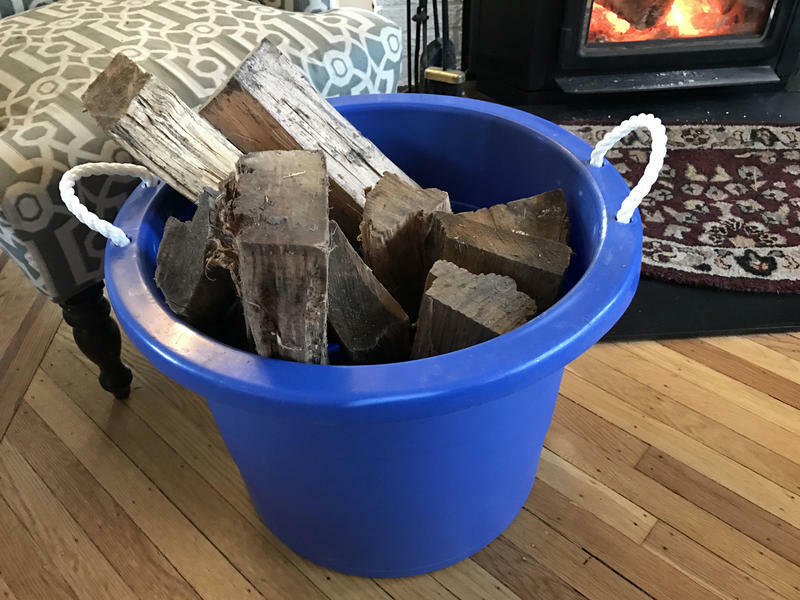 I start by placing 2-3 seasoned logs (always use seasoned wood with low moisture content, I dive into that in another tip) on the bottom of my insert. Next, lay several pieces of firestarter and some kindling on top of the wood. I really like Fatwood, which goes up super quick and has a nice hot burn to ignite the wood. Finally, roll up and tie several pages of newspaper. Some call this a “Nantucket knot,” and it helps the newspaper stay down instead of flying around your fireplace or wood insert. 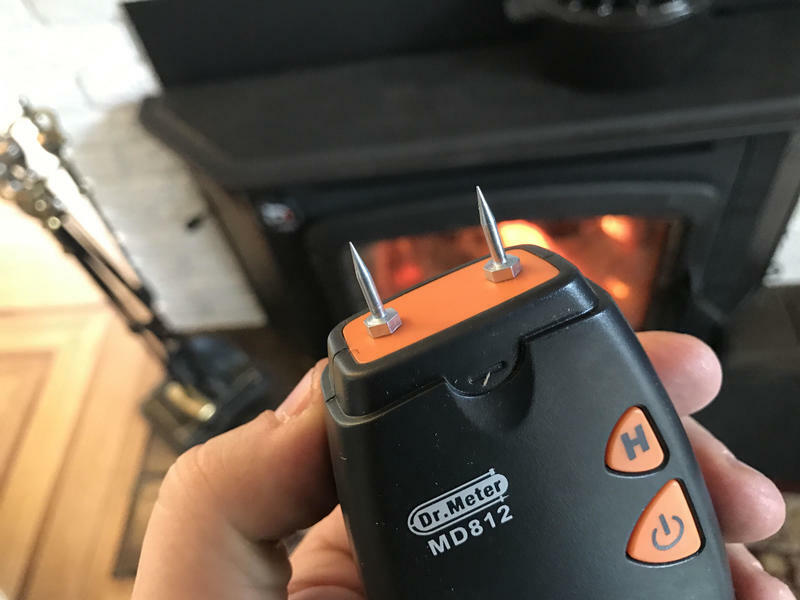 This should help kick off a nice warm fire pretty quickly. 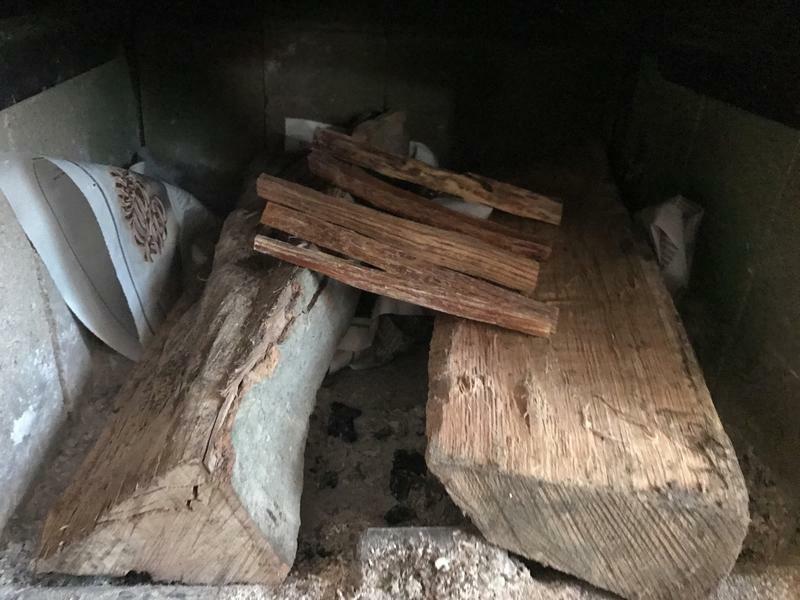 Pro tip: keep the wood compacted together for a longer burn, or spread it apart (allowing more oxygen and turbulence) for a faster take-the-chill-off fire. This is really important. You don’t want to just light a fire and let it go. 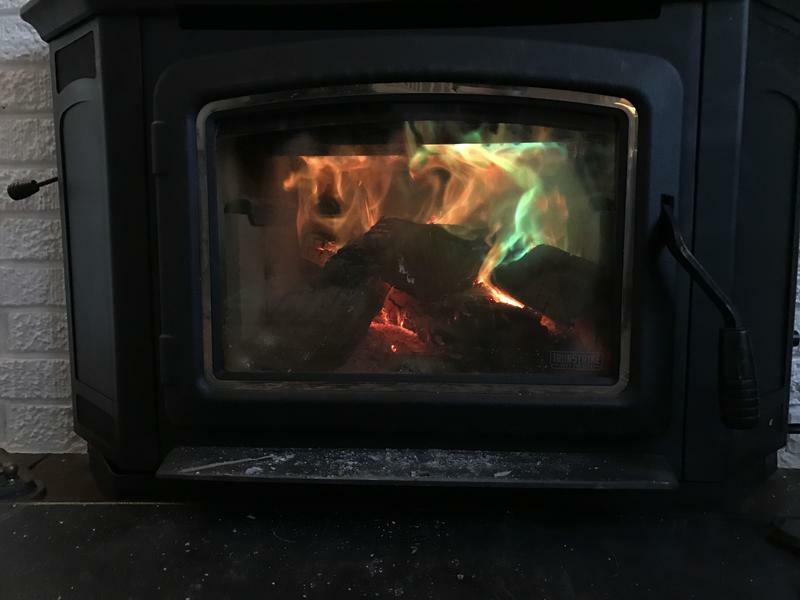 You want it to burn hot enough that it’s not producing dangerous creosote (the black tar-like substance that collects inside your flue and chimney), but you also don’t want it too hot that you’re overfiring your stove. For this reason, I use a cheap surface thermometer that I keep on the outside of my stove. 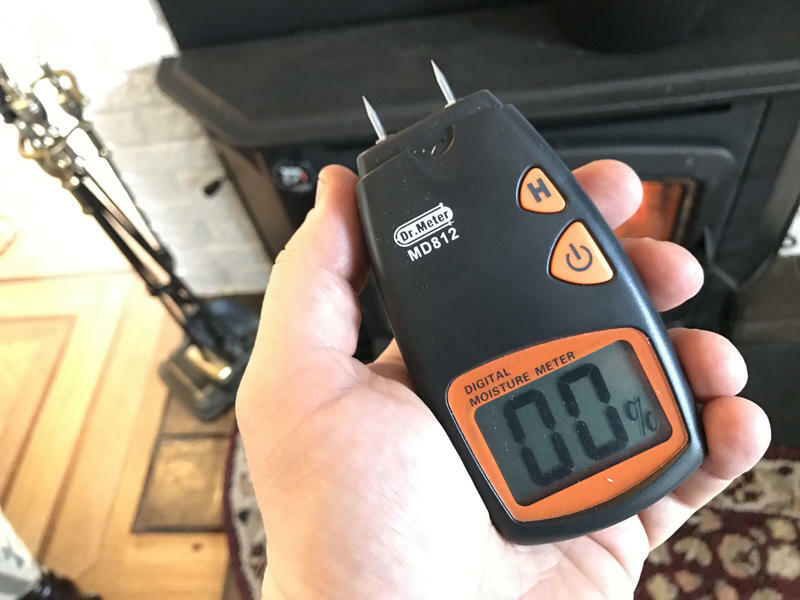 My specific model calls to keep the surface temperature below 400 degrees, though plenty of other stoves and wood-burning enthusiasts like to burn anywhere between 400 and 600 degrees. Cooler than 350 degrees or so and you risk creosote. Another way to manage temperature is to make sure you’re using the damper properly. You want it open while you light the fire to get as much oxygen in as possible. As you start to see the wood charcoal and catch, close the damper down. Eventually, you want the wood cooking nice and warm with dancing, almost ghostly flames above it, with the damper almost completely down. 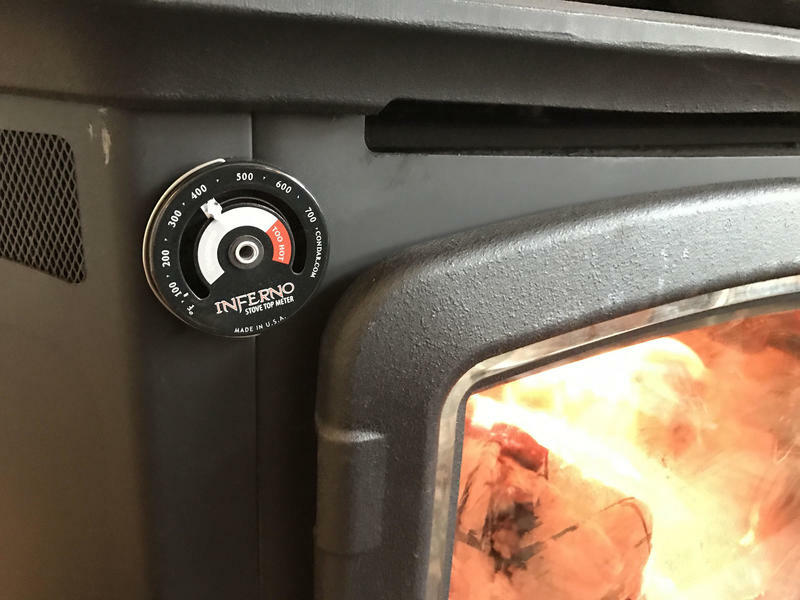 I use the Inferno Wood Stove Meter. 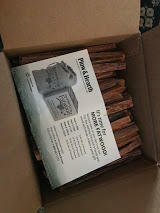 You want to make sure you’re burning wood that’s super dry. This helps cut down on steam and dangerous creosote buildup. 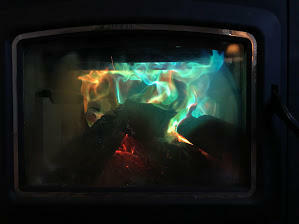 It’ll also help you burn cleaner, without smoke coming out of your chimney if you have an EPA-certified stove. I use a Dr. Meter MD812 moisture sensor to make sure my wood is below 20 percent in moisture content. 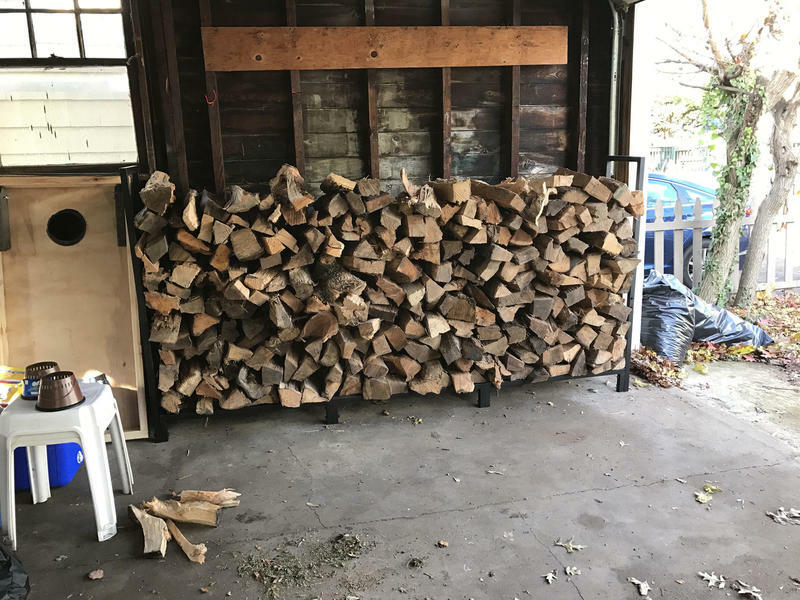 Even that’s a little high according to some enthusiasts, but I bought 1/2 cord of wood that seems to have been a little wetter than normal. A log should feel hollow and light, not heavy, and should be green in appearance. 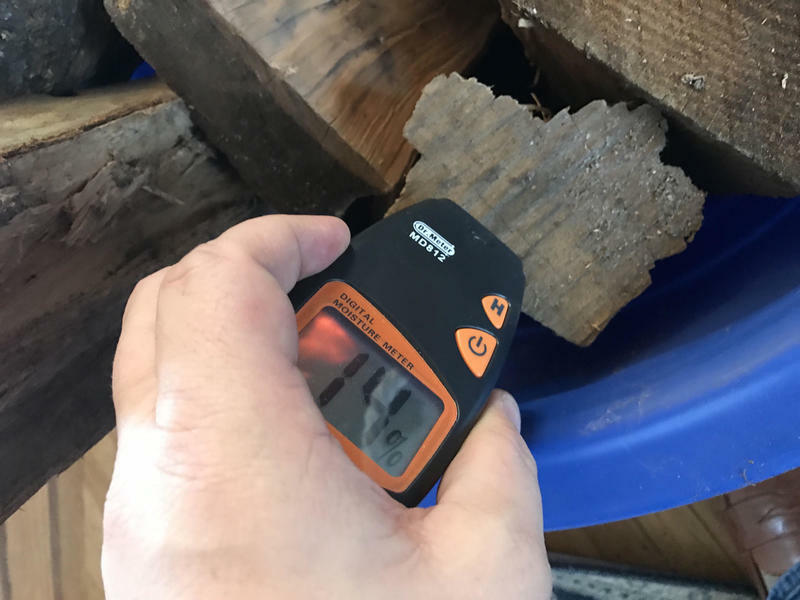 If you have a splitter, I’ve been told chopping the wood and holding it to your face can be another good method for testing if it’s ready. 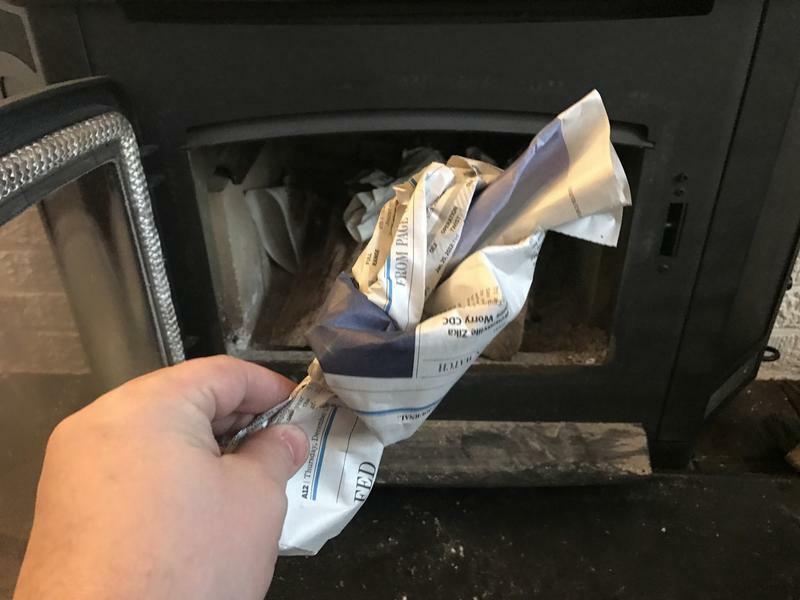 If it feels cool and wet, don’t throw it in the fireplace. I have my wood stored in the garage where it’s out of the elements, though it still isn’t the perfect location. I like to carry in a big bundle each morning and keep it near the fire to help it dry out as the day goes on. I use a large Rubbermaid tub (doubles as a keg container), though you can use any sort of strong container to do this. I’ve also heard from a lot of folks that keeping it in a really dry basement can be good. If you have a dehumidifier down there, for example, you might want to consider leaving your wood there for a few days first. If you have children, you can have a lot of fun with a bit of science. Several companies sell fun packets filled with small amounts of metal that burn different colors when tossed in a fire. It’s safe, so long as it’s not ingested. If you don’t like the idea of burning the small packets, you can also opt for color-changing pine cones, which offer the same effect. I use Mystical Fire Plus packets. Last but not least, stay warm! 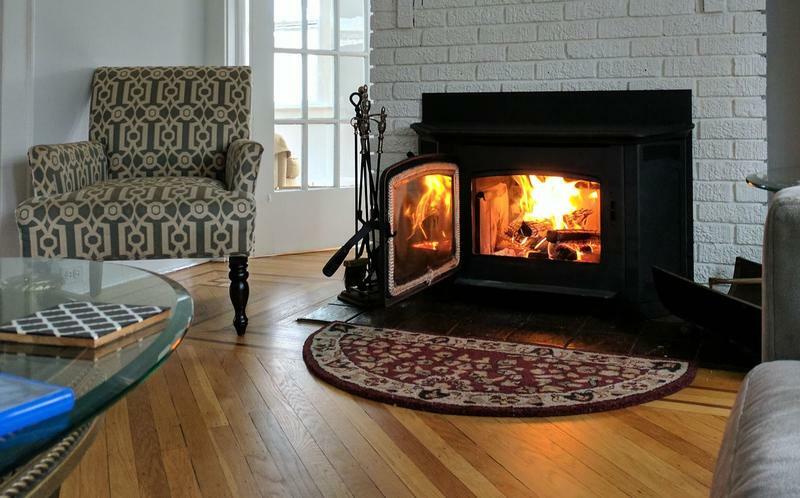 You can consider other gadgets for your fire insert to help push the warm air around your home. I have a blower installed on my insert that works well, but it’s also kind of loud and rattles. 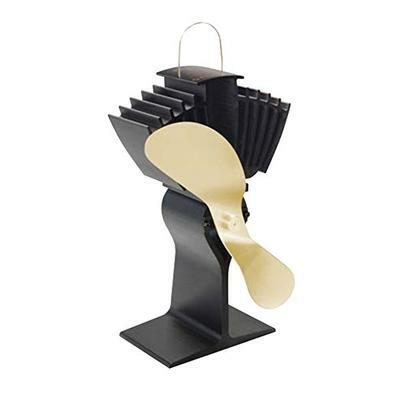 Amazon sells thermal-powered fans (no electricity or batteries required) that run off the heat coming out of your fireplace. 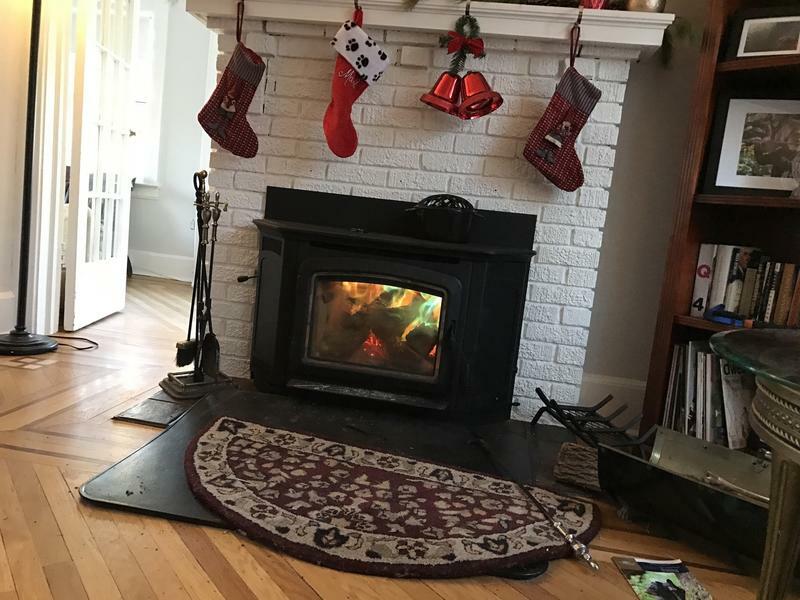 The Ecofan Heat-powered Wood Stove Fan is rated at 175 cubic feet per minute, which should be more than enough to heat your living space and help push air around. Have some tips and tricks for me? Leave ’em in the comments!